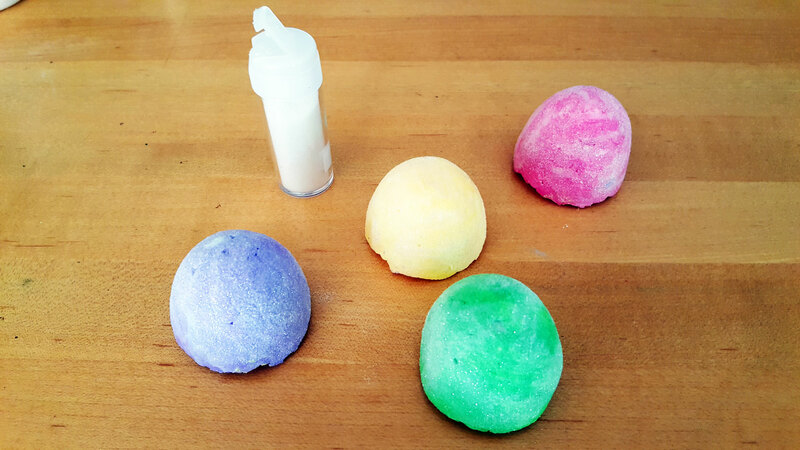 ﻿ DIY Gumdrop Ornaments: Candy Crafts (Almost) Sweet Enough to Eat! 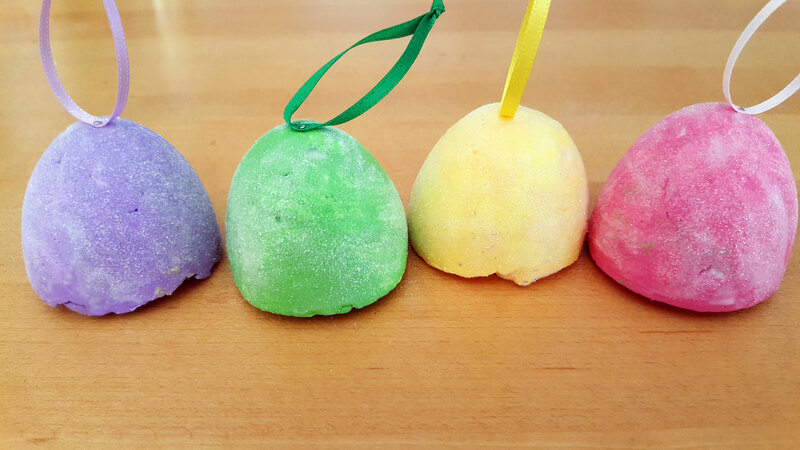 Celebrate the start of spring with these sweet Gumdrop Ornaments in candy colors! Spring time is the perfect time to start decorating with pretty pastels, and these Gumdrop Ornaments will add a powerful pop of color to any room! 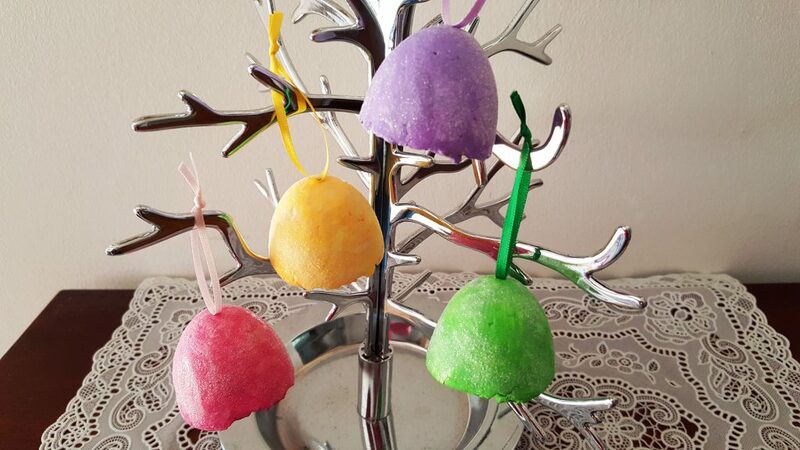 There are so many different ways to decorate with these Gumdrop Ornaments! Watch them sparkle in the sunshine in a Spring display, dangling from an Easter Tree or hanging from your Christmas Tree during the holidays. 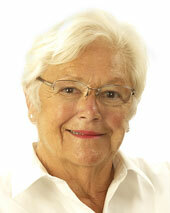 So, put a spring in your step, and let’s get crafting! 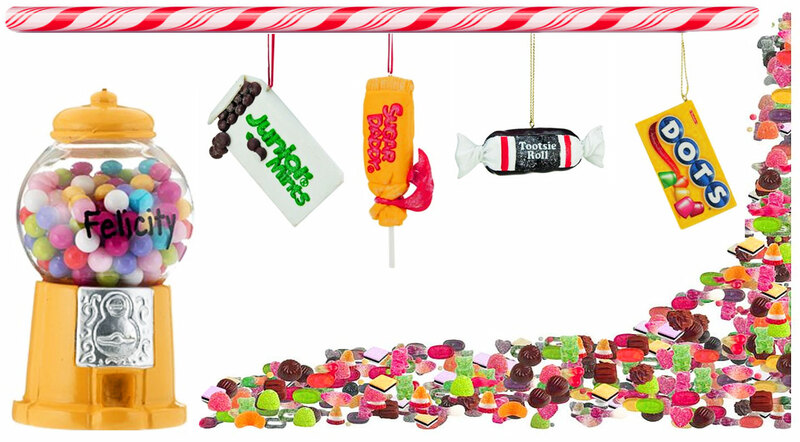 Even the most elite candy connoisseur will be impressed with this sweet Gumdrop Ornaments craft! This ornament showcases a great attention to detail and texture that can’t be missed. And you’ll be amazed by how easy it is to create the sugar coating on the outside of the Gumdrop Ornaments. Hint: It’s everybody’s favorite craft supply – GLITTER! 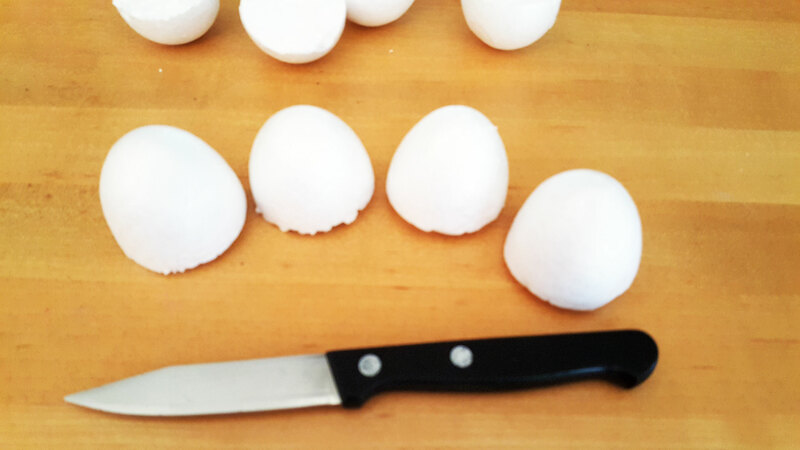 Step 1: First, cut each foam egg in half using a sharp knife. It’s okay if it is not completely smooth. Step 2: You should now have 4 egg halves. 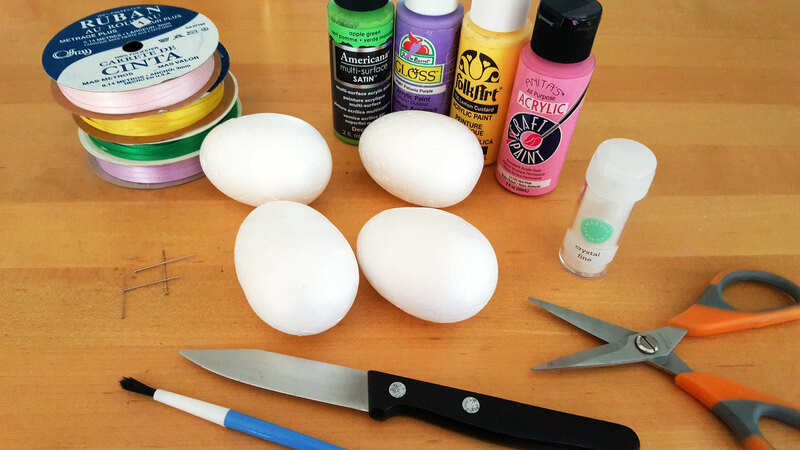 Next, you will paint each egg half using a different color of paint. I chose pretty pastels because I want to showcase classic gumdrop flavors. 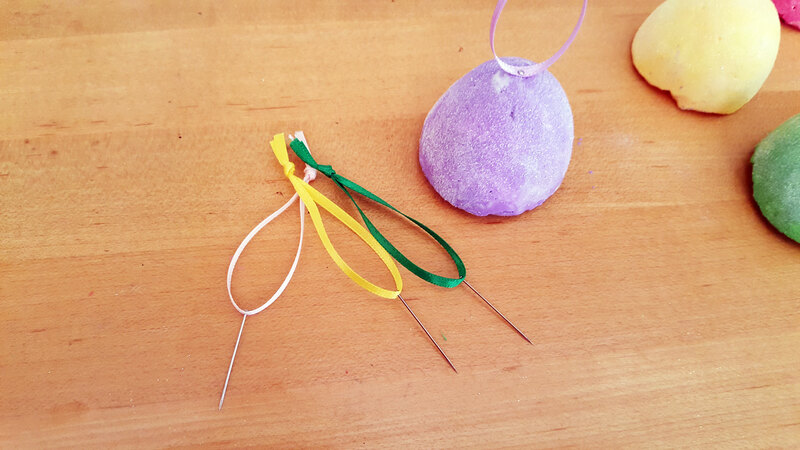 Step 3: Next, we will create the look of the crystal sugar coating on your Gumdrop Ornaments. 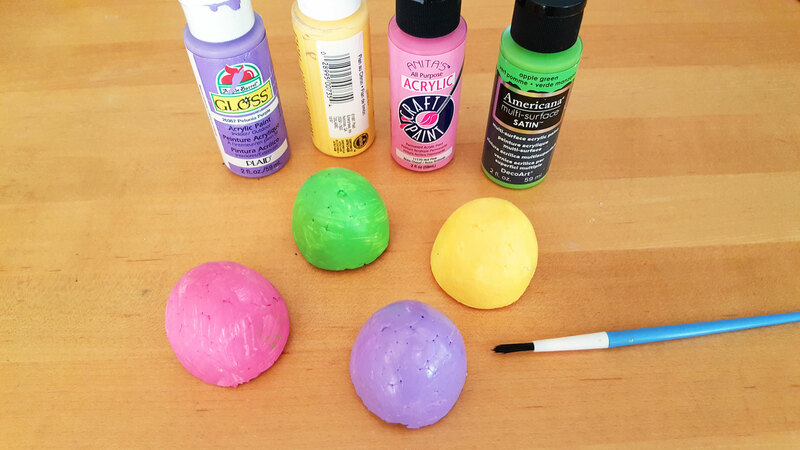 While the paint is still wet, sprinkle glitter over each egg half. 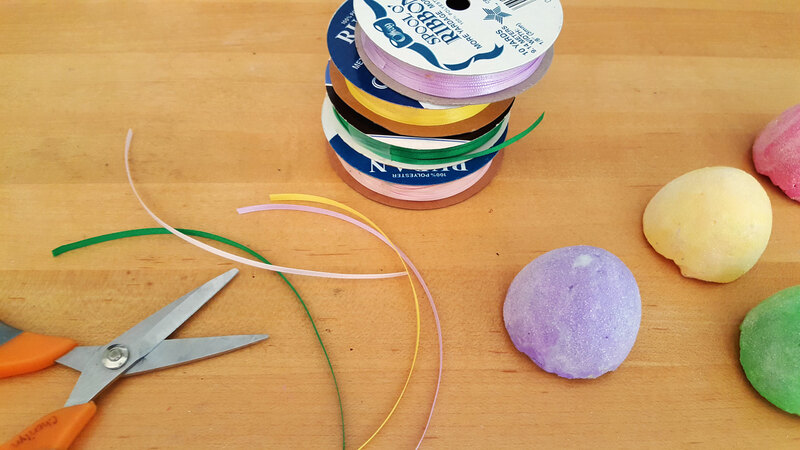 Step 4: Now, cut a 6-inch strip of ribbon in each color that will match each gumdrop. You can start this step while the paint is drying, and the glitter is setting. Step 5: Next, fold each strip of ribbon into a loop and secure with a knot at the top. And finally, poke the sharp end of the flathead jewelry pin through the bottom of the ribbon loop and insert into the top of your Gumdrop Ornaments. Just make sure to use the coordinating ribbon color with the right Gumdrop. Sweet! You did it! Now your Gumdrop Ornaments are ready to be displayed. Gumdrop Ornaments in pretty pastels are a great addition to any Spring décor. Keep them out come Easter, and you have half of your decorating done! 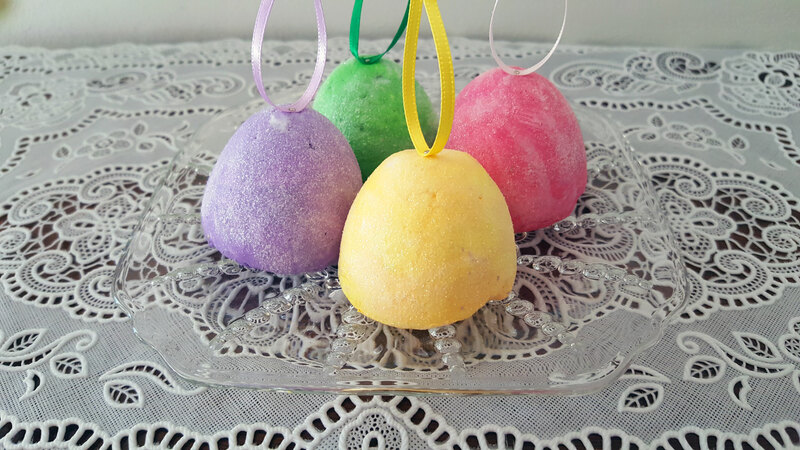 You can hang these candy colored cuties on an Easter Tree or simply remove the hanging loop and add them to a table display like dyed Easter eggs.